If you’ve been looking for a place to publicly belt out your favorite song from Moana, head back to theaters on January 27. That’s the day Disney is releasing a sing-a-long version of the film on over 2,000 screens across the U.S.
What you get is the same great movie, except that all the songs will have the lyrics on the bottom of the screen, encouraging the audience to sing along with the characters in the film. Basically, if you haven’t seen it by then and walk into the wrong theater, you’re in for quite a surprise. If you have seen it, though, it should be a fun new way to watch the movie on the big screen before it becomes available for home viewing. And it’s coming home really soon. 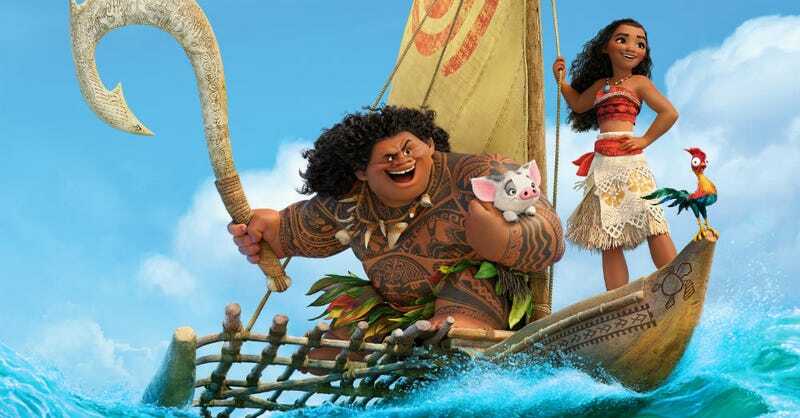 Moana will be available for download February 21 and then on Blu-ray March 7. If you want some practice ahead of time, Disney put the full songs on their YouTube. Check them out. The sing-a-long version will premiere at the El Capitan Theater in Hollywood, CA on January 20, a week earlier than the wide release.